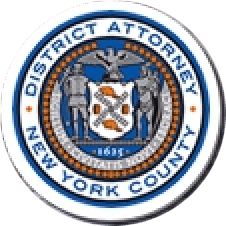 Manhattan District Attorney Cyrus R. Vance, Jr., announced the sentencing of JON GIRODES, 39, to 3-to-6 years in state prison for orchestrating an apartment rental scam, defrauding victims of more than $63,000. On July 19, 2017, GIRODES pleaded guilty to two counts of Grand Larceny in the Third Degree and one count each of Identity Theft in the First Degree and Scheme to Defraud in the First Degree. As part of the sentence, the Judge also executed judgment orders in favor of 11 victims, holding GIRODES liable to re-pay $54,700 in stolen funds. As admitted in the defendant’s guilty plea and stated on the record in court, GIRODES advertised a luxury rental apartment at 635 West 42nd Street on Craigslist, claiming to be the apartment owner. Between August 6, 2016 and September 27, 2016, GIRODES—a former Republican candidate for New York State Senate—met with each of the 13 victims individually and collected cash, check, and wire transfer payments representing various rental advances, deposits, reimbursements, and other fees with the understanding that the victims would be able to move into the apartment. The defendant requested additional cash payments from some victims, claiming that an individual named Irina from the building’s management required the additional payments before they would be allowed to move in. In reality, GIRODES did not own the apartment, and was not authorized to sublease it to any of the victims. No person named Irina worked for the building, and management never was informed about any of the overlapping leases GIRODES signed with victims, or received any of the payments that he claimed to collect on their behalf. In his dealings with some of the victims, the defendant also impersonated the actual owner of the apartment and provided false identification information in emails and on leases that he signed. Each victim was eventually informed that he or she was not able to move into the apartment, but often only by a last-minute message from GIRODES that falsely blamed building management. Multiple victims had incurred expenses to move out of their previous apartments, and some were temporarily left without any place to live. Over the course of the entire scheme, the defendant had collected a total of $63,450 from victims. Assistant District Attorney Peter Rienzi handled the prosecution of the case under the supervision of Assistant District Attorneys Gloria Garcia and Anne Ternes, Deputy Chiefs of the Financial Frauds Bureau, Archana Rao, Chief of the Financial Frauds Bureau, and Executive Assistant District Attorney Michael Sachs, Chief of the Investigation Division. Paralegal Stephen Gobes also assisted with the prosecution of the case. District Attorney Vance also thanked Officer David Hyman and Detective Randy Mercado of NYPD’s Grand Larceny Squad and Detective Kevin Dardzinski of the Warrant Section for their assistance with this case.